Local veterans will once again join Bion Cantorum at 3:00 p.m. on July 4 for Of Thee I Sing, a vocal concert to celebrate America’s birthday at First Presbyterian Church, 2230 Hariet Street, Port Charlotte. Veterans and other interested singers are welcome to join Bion Cantorum in singing patriotic favorites, including the words of Thomas Jefferson from “Testament of Freedom,” as well as “Johnny Has Gone for a Soldier,”an English folk song sung during the American Revolutionary War. “Ashokan Farewell,” from the sound track for Ken Burns’ series on the Civil War, and Andrew Thomas’ arrangement of “I Hear America Singing” will be featured. This year in addition to the presentation of the colors, concert goers will hear not only our national anthem, but also a new arrangement of the Pledge of Allegiance. For details and tickets, go to www.bioncantorum.com or call 941.625.4945. A good old fashioned cook-out will follow sponsored by the Veterans Group of first Presbyterian Church. Call 625-5045 for reservations to the cook-out. 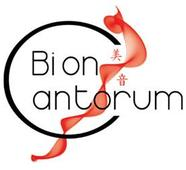 It is not too late for qualified singers to join Bion at their upcoming July 4 concert. To take advantage of this summer opportunity to help us make beautiful and patriotic music, call director Roy Engler at 239.826.7947. Rehearsals continue on Monday evenings from 7 to 9 pm at the church beginning May 8.